Keynamics always encourages members of the press to review and create content around our products. All we ask is that you please credit us, when using any images or content from our websites, with a DoFollow link back to www.keynamics.com Large, high resolution images are located toward the bottom of this page. If you do not see an image you want, please email us at info@keynamics.com. Austin, TX – December 11, 2007 – – Today, JetBlue offered passengers the first in-flight internet / email service over US territory. Keynamics LLC, the company that invented the AVIATOR Laptop Stand, anticipated this historic launch when it introduced its patented stand in April of 2006 . 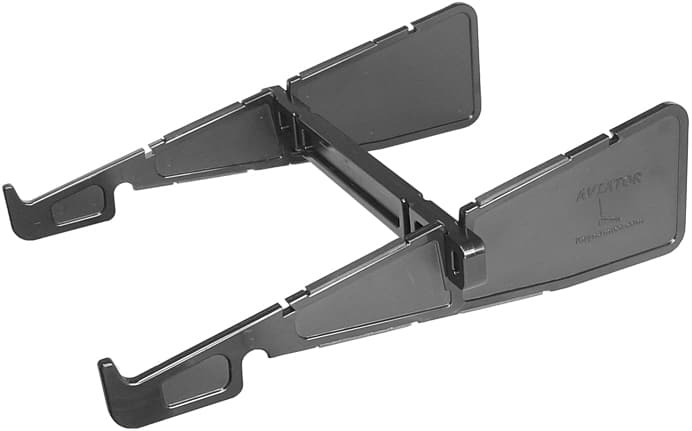 The AVIATOR is the first and only laptop stand designed specifically for use on airplane tray tables, as well as desktops. Airline passengers will need comfort and safety when they access the in-flight internet service. The AVIATOR is sturdy and extremely stable to handle turbulence and bumping from other passengers. From an ergonomic perspective, the AVIATOR angles and extends the laptop keyboard 2.5 inches past the front edge of the tray, providing a comfortable wrist position. In addition, the stand raises the screen 3 inches off the tray table, achieving the proper eye level for reduced neck bending and back strain. 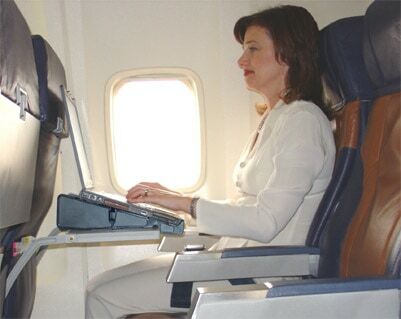 The AVIATOR Laptop Stand provides room to work comfortably, even when the passenger in front has reclined their seat. The stand eliminates the “hunch” and allows the passenger to rest their back against the seat for spinal support, achieving neutral postures as OSHA recommends. 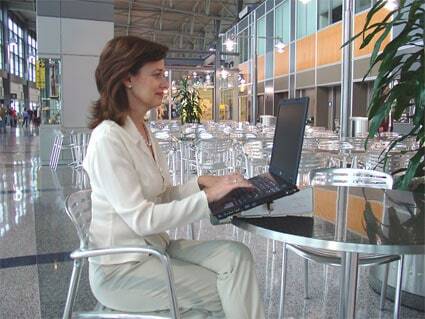 Passengers can also use the Aviator, upon reaching their destination, as a portable desktop / table stand for use at the Hotel, Coffee shop or Office. Compact for travel and weighing only 9 ounces, the AVIATOR(tm) stores flat in the side pocket of a briefcase. 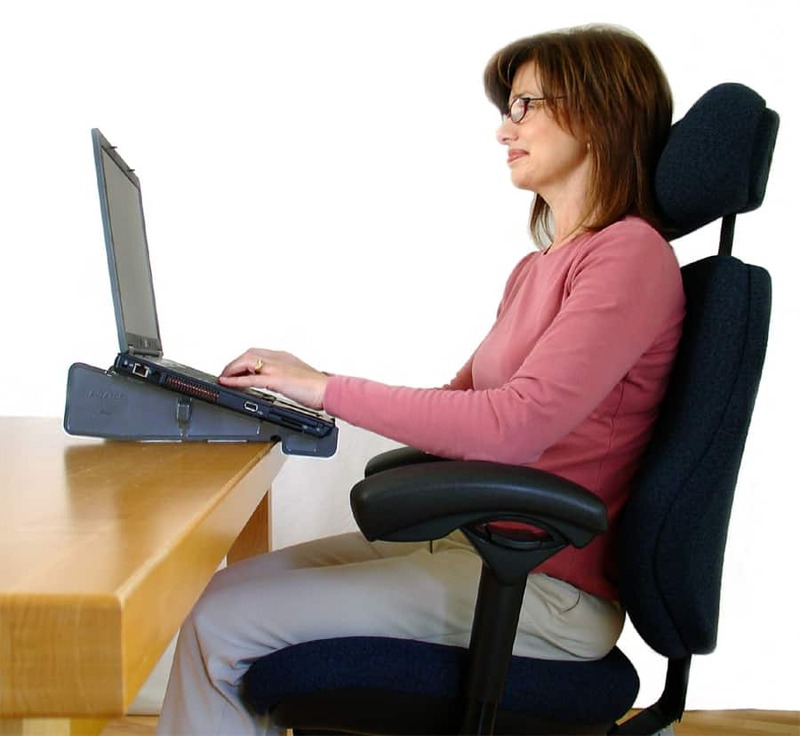 Keynamics LLC specializes in ergonomic products for the office and computer workstations. 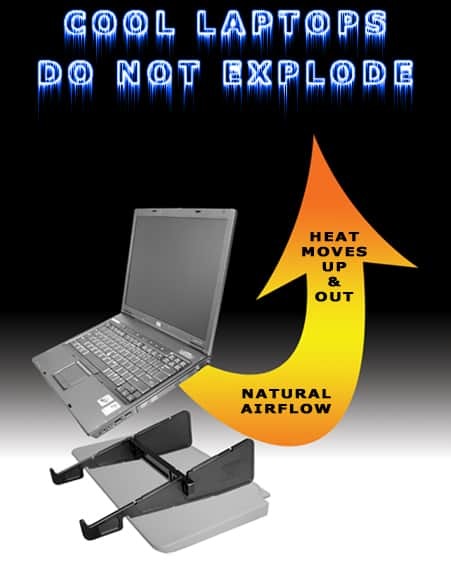 The company has exclusive licensing rights on the patent for its laptop stands. 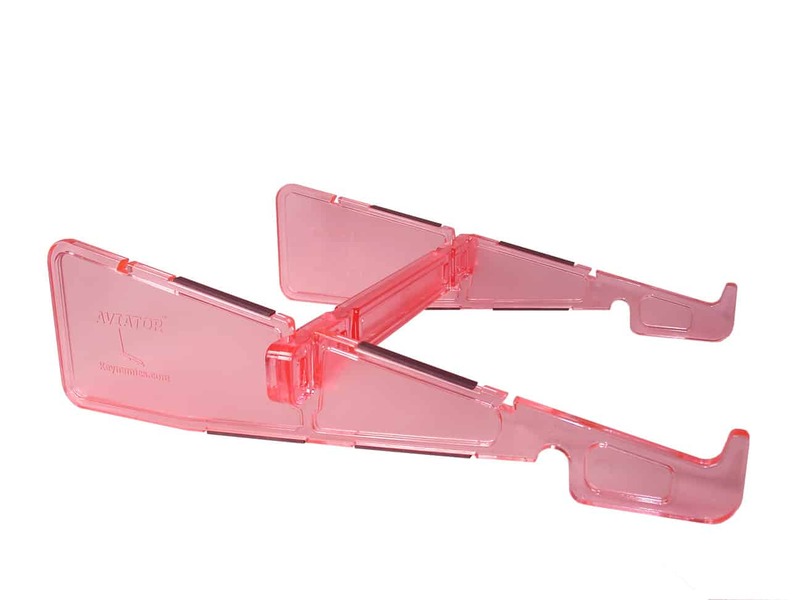 Austin, TX – April 27, 2007 – – Keynamics® LLC announced today, that it will sell a translucent Pink Aviator™ Laptop Stand and donate $2.00 from every sale to help fight breast cancer. 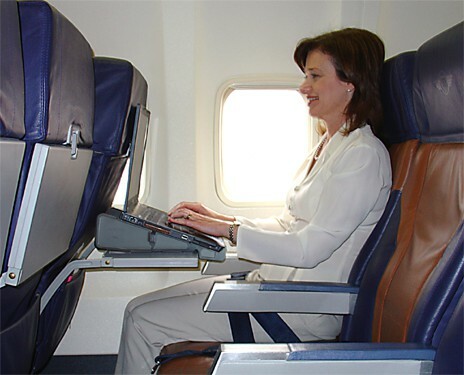 With the prospect of in-flight internet and 92% of all business travelers carrying laptops, passengers need more comfort and safety when they use their laptops on commercial airliners. The AVIATOR ™ Laptop Stand from Keynamics® LLC is the first and only stand specifically designed for both airplane tray tables and desktops. The AVIATOR™ Laptop Stand safely extends the laptop keyboard 2.5 inches over the front edge of the tray and raises the screen by 3 inches. The keyboard is positioned at a comfortable angle for typing and the screen is placed at eye level for reduced neck bending and back strain. The stand eliminates the “hunch” and allows the passenger to rest their back against the seat for spinal support, achieving neutral postures as OSHA recommends. 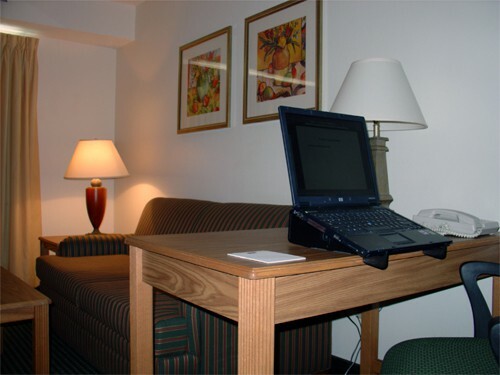 (It even works when the seat in front is reclined) The AVIATOR™ turns any flat surface into a computer workstation – the hotel desk, coffee shop or office desk. Compact in design and weighing only 9 ounces, the AVIATOR™ stores flat in the side pocket of a laptop case. The Street price is $19.99 (MSRP $24.99) available at http://www.keynamics.com/ and other resellers. Keynamics LLC is a privately held Texas company specializing in ergonomic products for the office and computer workstations. 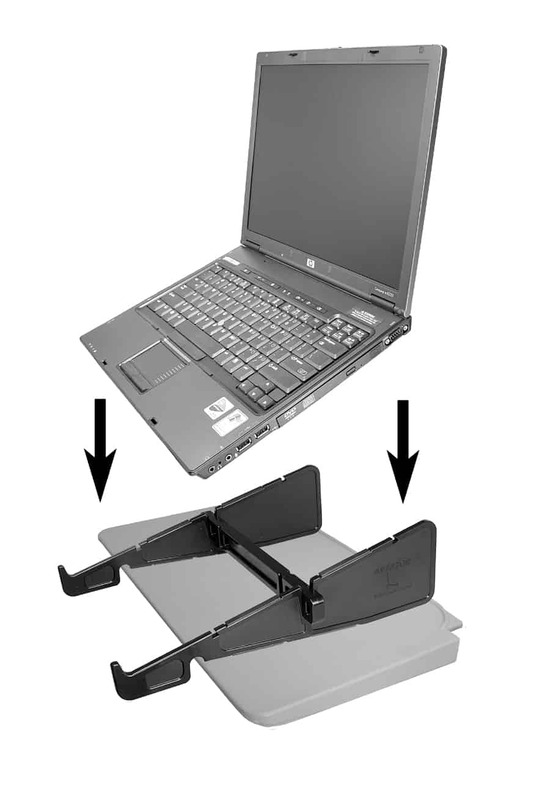 The company has exclusive licensing rights on the patent for its laptop stands.